Home 10th 12th Govt jobs Jobs in All India jobs in Indian Navy Indian Navy Recruitment 2018 -(SSR) Posts @ Across India - Apply Now Online. Indian Navy Recruitment 2018 -(SSR) Posts @ Across India - Apply Now Online. Indian Navy Recruitment 2018-2019 Apply Online Application Form for Sailor for Senior Secondary Recruits (SSR) Posts through Official website www.joinindiannavy.gov.in. Indian Navy invites online applications for appointment in following Sailor for Senior Secondary Recruits . The last date for submission of online applications is 15.06.2018. Indian Navy Recruitment 2018 -Sailor for Senior Secondary Recruits (SSR) Posts @ Across India - Apply Now Online. Indian Navy Recruitment 2018 -Sailor for Senior Secondary Recruits (SSR) Posts @ Across India - Apply Now Online. who has born thorough between 01-02-1999 to 31-01-2002.They are Candidates should be apply. Selection of candidates will be made on the basis of Written Examination (objective type), Physical Fitness Test (PFT) and Medical Examination. 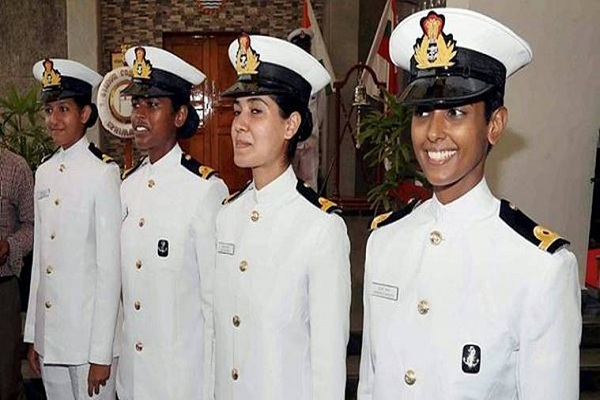 Interested and eligible candidates may apply online through Indian Navy website - http://www.joinindiannavy.gov.in/.